Best thing in the world is a movie night out, few weeks ago I and my friends had a movie night. Actually we have been planing for that since the movie was out, I am talking about ‘Black Panter’. We have been checking the website of the cinema here in Lund, to figure out which date suits all of us, And God it is not an easy mission with having alot of friends. 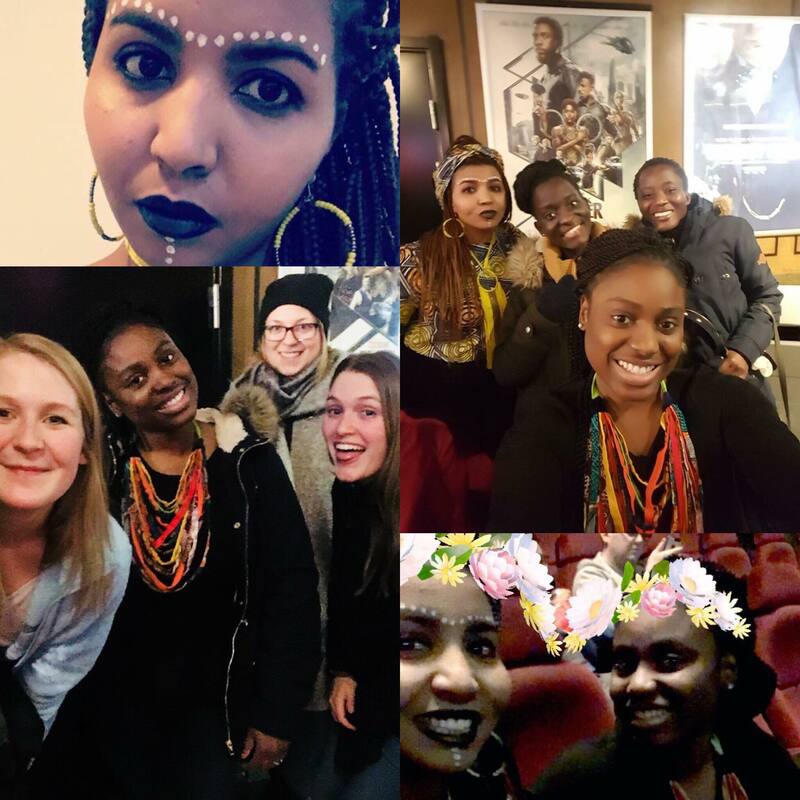 Finally, we picked a day and we planned to all get well dressed for the movie, by wearing our african clothes and make an african theme. The moment we left our place in Delphi, and took the bus we were making impressions. The movie was way better than what we have expected, We were so in Love with it, It made us wonder how would our Africa be if we have not be colonized. After the movie, We were taking alot of picutres with different poses from the movie and many people took photos with us, we were all embracing the Wakanda theme.